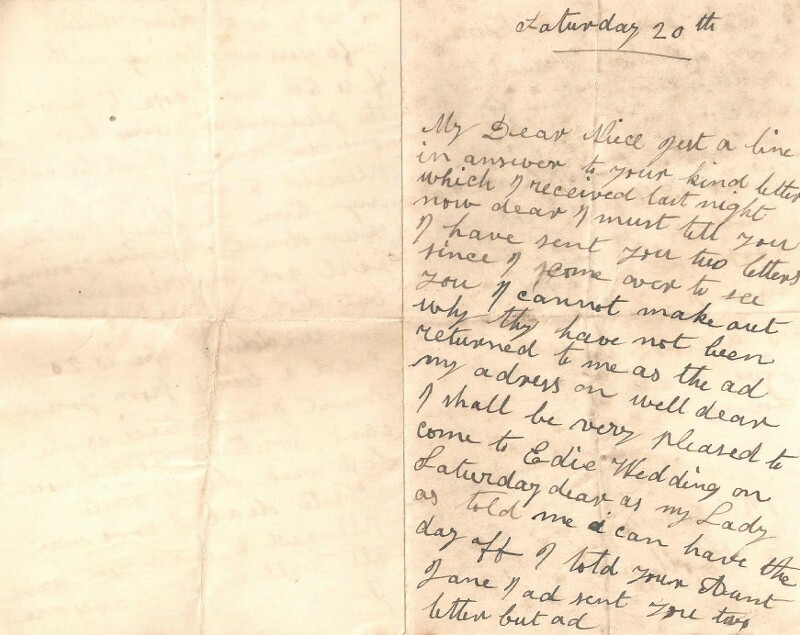 Letter page 1 - Lizzie, Elizabeth Saffhill (1874-1960), was the youngest child of George Saffhill (1829-1890) and Ann Joel (1836-1875). She did not marry and seems to have been 'in service' throughout her life. Lizzie's lady who would give her the day off was Adelaide Victoria South (nee Wearing) who died in December Quarter of 1928. Lucy Saffhill (Steele) (1878-1945) was the daughter of Lizzie's brother George Saffhill (b. 1855) and Lucy Matilda Smith (1859-1891). Edie was Edith Annie Steele (1902-1965) who was about to marry Harry Charles Le Fort (1902-1951) in September 1927. Aunt Jane was Jane Elizabeth Cordery (1861-1932), the widow of William Saffhill (1857-1927), another of Lizzie's brothers. 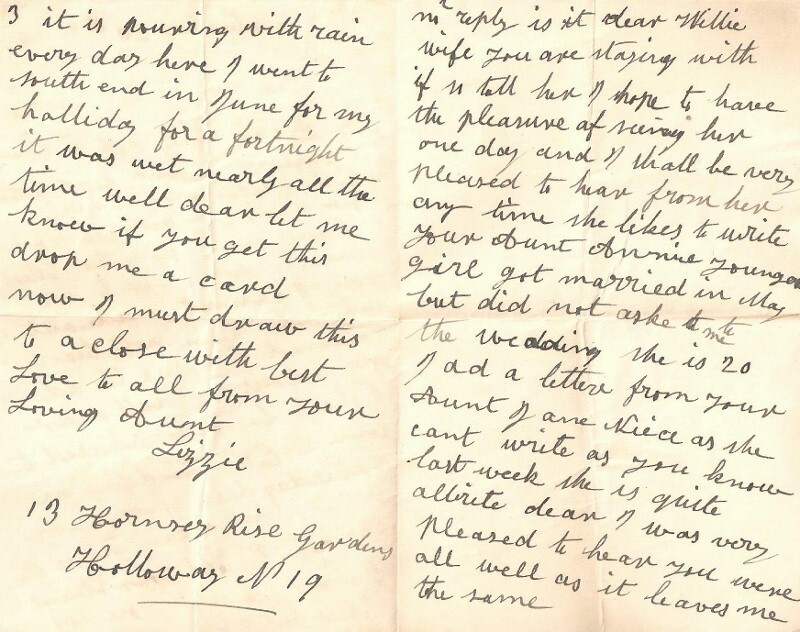 Letter pages 3 and 2 - In page 2 (on the right) Lizzie refers to 'dear Willie'. This was William A Saffhill (1885-1915) who is buried in Lemnos. His wife was Ethel Daisy Earwicker, known as Daisy. Aunt Annie was Lizzie's sister Ann Saffhill (1867-1918) whose youngest daughter was Rose Margaret Wolsey (1908-1987) who had married Thomas J Norman in June Quarter 1927.